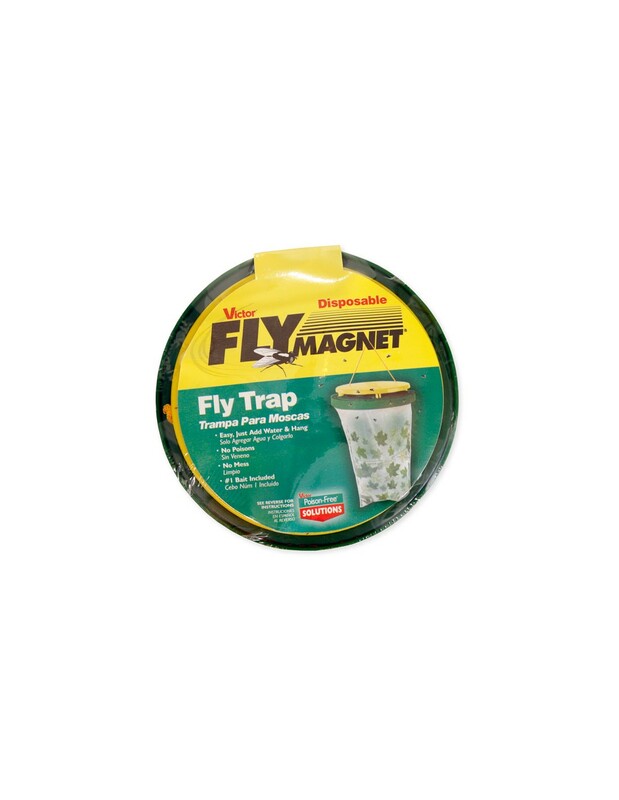 Best used for: Eliminating Traps, Baits & Sticky Paper. Easy to use. Just add water and hang trap. No Poisons and No Mess! * Baited system will last a long time. Effectiveness is not diminished with time. Bait will attract a broad range of species, including house and blowflies. * Traps are re-usable. 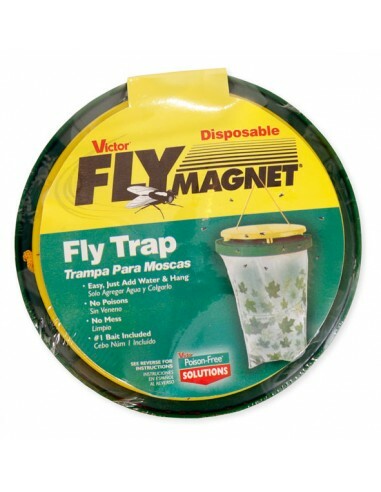 Once filled with flies, dump contents, re-bait, add water and do it again! Replacements baits are available.